This is a hybrid design kayak, meaning that it has a marine plywood hull and a strip-built deck. The advantage with this design by Eric Shade, is that you get the speed of building with plywood and the beauty of cove and bead strips. 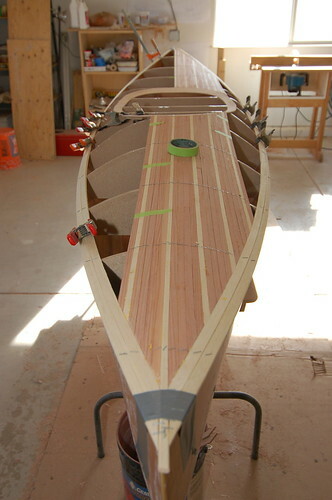 In this boat, we are using California redwood and Eastern White Pine for the deck.